I’d only been in Wyndham a couple of hours, but I was liking it already. 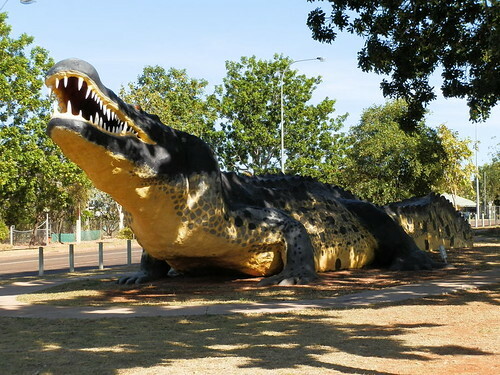 First up was the 20 metre (65.6 ft), grinning crocodile at the town’s entrance – the most creative way to use up 5.5 km (3.4 miles) of steel rods, 50 kg (110 lb) of welding rods, 10 rolls of bird mesh and 6 cubic metres (212 cubic feet) of concrete I’d ever seen. The croc was looking pretty good for a 28 year-old! And like the thrill-seeker I am, I got a kick out of being in Western Australia’s northernmost town at the end of the Great Northern Highway! But alluring though these drawcards were, they’re not what kept us in Wyndham for several days. Here’s FIVE MORE of the attractions that make Wyndham a TOP Aussie town! Wyndham’s bizarre and varied landscape has sweeping tidal mud flats covered with mangroves and washed by some of Australia’s highest tides. The coastline is blurred by the massive tides so causeways linking old and new parts of the town ensure year-round accessibility. 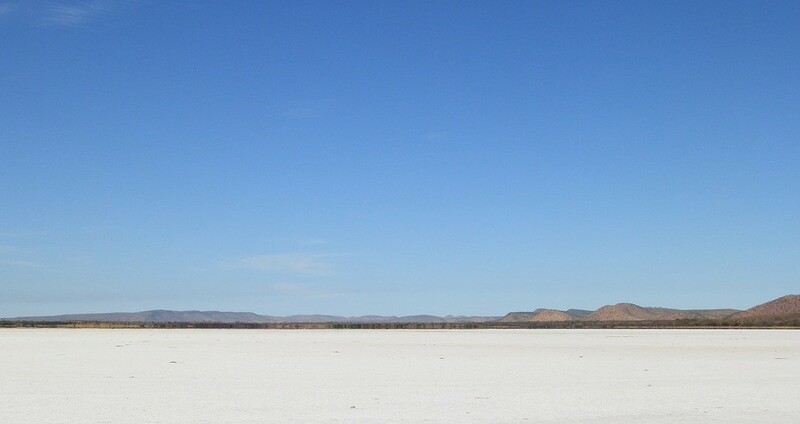 The massive Cambridge Gulf – final destination for five Kimberley rivers – flows out into the Joseph Bonaparte Gulf near Western Australia’s northernmost tip. The impressive sandstone escarpments of the Cockburn Range between Wyndham and the Gibb River Road are visible along the King River Road. And the jewel in the crown, towering 330 metres (~1082 ft) above the Gulf and the town, is the Bastion, part of the Daharwi Range and named by explorer Philip Parker King in 1819. Never heard of Aussie explorer Philip Parker King? That’s probably because his exploratory trips were disaster-free, unlike those of, say, Burke and Wills – who EVERYBODY’S heard of!! I rest my case. 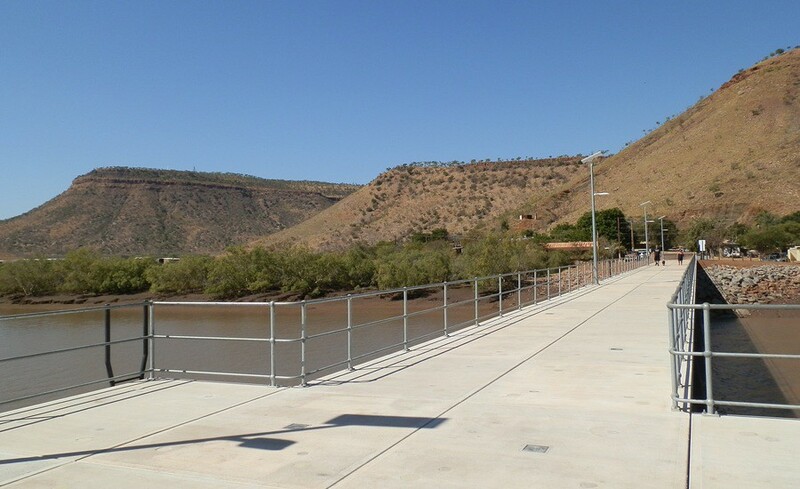 Established in the 1880’s, the Port of Wyndham was established to support the Halls Creek gold rush, and the East Kimberley pastoralists. 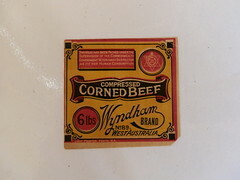 In 1919 the Wyndham Meatworks was completed, operating until 1986. 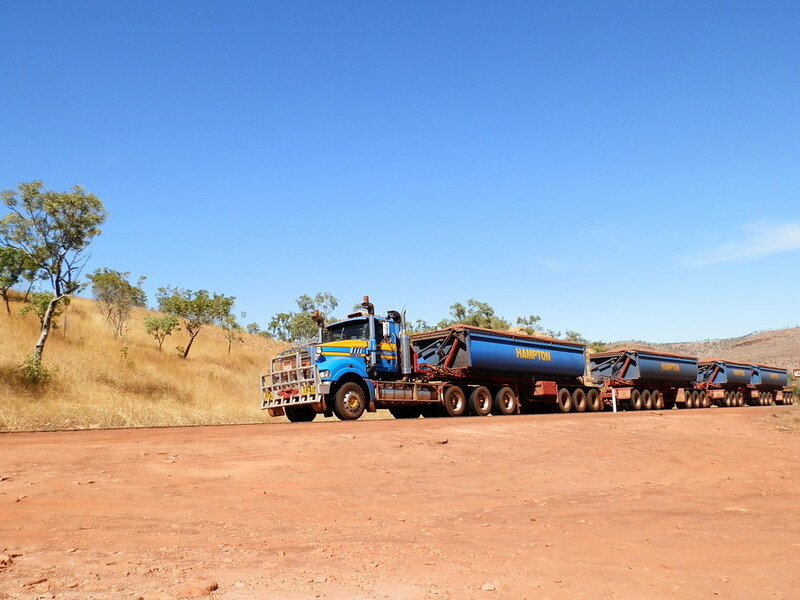 Nowadays, the port continues to service the live cattle export and mining industries, and the Ord River Project. Of course there’s a LOT more to the town’s colonial history than that – and the best place to discover it is at the Wyndham Museum in the old Courthouse. That’s where I found out about the crocodile hunting; wreck of the MV Koolama during World War II (the remains are nearby in the Gulf); a wartime attack on the airfield; the ‘Pussycat’ taxi service; Chinese market gardeners; visits from famous aviators and so on. Other historic sites are nearby, like historic buildings and sites at the Old Wyndham Port, the Prison Tree and Singh’s Gardens along the King River Road; and Telegraph Hill near Marlgu Billabong on the back road to Wyndham. 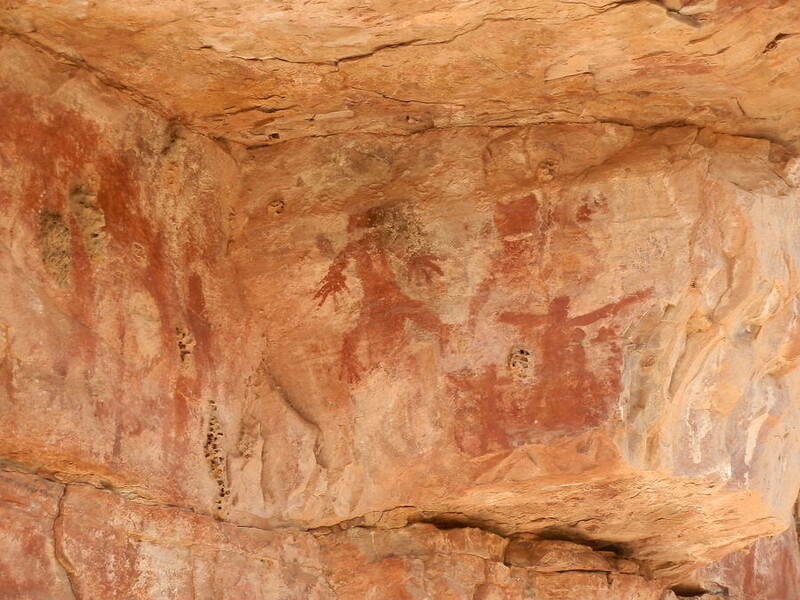 But to experience a small part of the region’s Indigenous history, take a look at the petroglyphs near Moochalabra Dam (town water supply) along the King River Road. 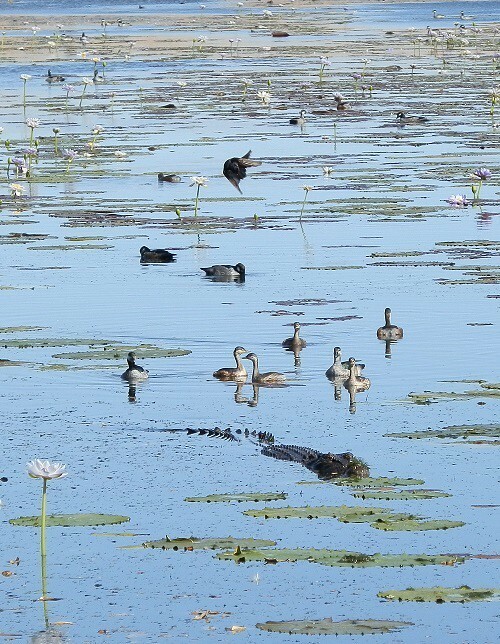 After clocking over 60 bird species and several crocodiles in two separate visits to Marlgu Billabong, part of the Parry Lagoons Nature reserve and oasis in the middle of a grassy plain not far from Wyndham, I was experienced enough to become an unofficial ‘tour guide’. I didn’t have anything else to do while the REAL birdos – Pilchard and his new friend-with-a-telescope from the caravan park – were still arguing over whether that odd looking bird I’d pointed out to them what seemed like hours before was actually a rare sighting of Oriental Reed Warbler or something more ordinary. But although the mostly overseas tourists seemed quite happy to have me point out the crocodiles and assorted Aussie bird life, no one actually offered me any money! Maybe they were just being polite?! Read more about my Marlgu Billabong adventures HERE! It’ll be unsurprising to any keen birdo that Pilchard’s real target species in Wyndham was the rare Gouldian Finch. They’d apparently been seen at the campground waterhole a couple of days before so we staked it out whenever we weren’t doing anything else. But a few days later a new arrival was told the exact same thing! Maybe it’s just a way to keep the twitchers in town? Our next hot tip was to hang out at the Shire Offices when the sprinklers are on – but despite our best (and most tedious) efforts, Gouldian Finch remained elusive. I’m kinda glad. That means I won’t have any arguments from Pilchard for a return visit. 140 steps down the sheer walls of a natural amphitheatre and I was on a direct descent into Middle Earth. At the base lies the Grotto – reportedly 122 metres (400 feet) deep. I SO admire the nerve of whoever hung the rope swing from its precarious position high above the swimming hole, but not enough to actually test it out. Not because I’m a total coward – but because my foot went numb with cold when I dipped it into the pool and the thought of immersing my whole body into water that icy seemed like the worst sort of torture. Read more about my Adventure at the Grotto HERE! 5 True Blue Two Loo View! 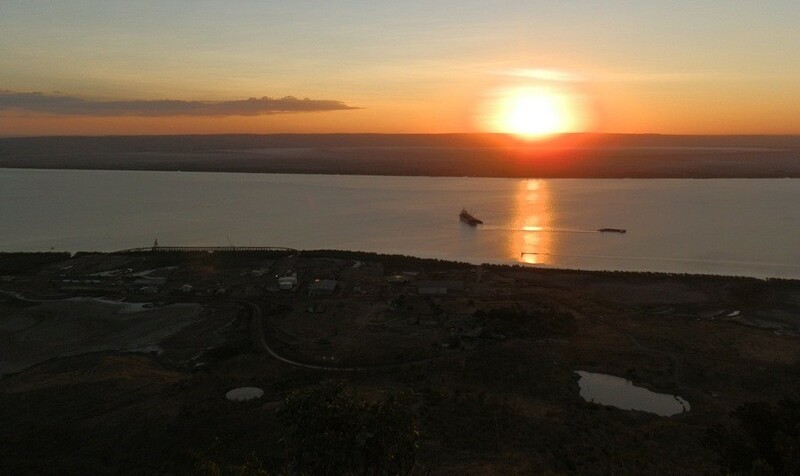 Although most visitors ascend the Bastion to the Five Rivers Lookout atop the peak at sunset, the view overlooking Cambridge Gulf and surrounds is staggering at any time of day. And ‘Five Rivers Lookout’ isn’t just a randomly inaccurate name – there really ARE Five Rivers visible from the vantage point if you know where to look. The final destination for the King, Ord, Durack, Forrest and Pentecost rivers is right here in the Cambridge Gulf where there’s enough water to support numerous Crocodiles – and Barramundi, making this a top fishing spot as well as a danger zone! I can only imagine what it’s like during the wet season. But despite the awe-inspiring vista of what is arguably one of Australia’s finest lookouts, my mind remained firmly in the gutter and turned to toilets. One up the top near the car park. And one down below by the jetty. SO good, I just HAD to put it into my book Aussie Loos with Views! Read more about the Five Rivers Lookout HERE! Tourist information suggests taking a day trip to Wyndham from Kununurra, 100 km (62 miles) to the east. But as we reluctantly left Wyndham after 4 days with a list of enough things to ensure a return visit, I wondered if the day-trippers actually saw what I’d seen. And that’s a TOP Aussie town with a wealth of attractions that’ll bring me back again! 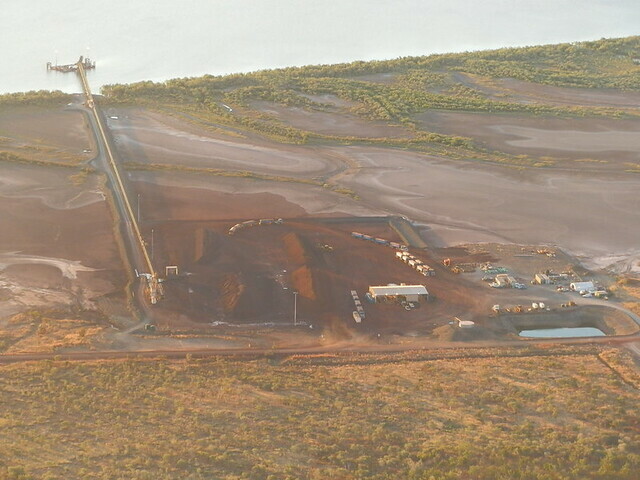 Where: Wyndham is in North-Western Australia’s East Kimberley on the Cambridge Gulf. Click HERE for a map! When: Temperatures are generally cooler during the Dry Season from April to October. How to get there: Wyndham is 100 km (~62 miles) by road from nearest town, Kununurra on fully sealed roads on the Great Northern Highway. 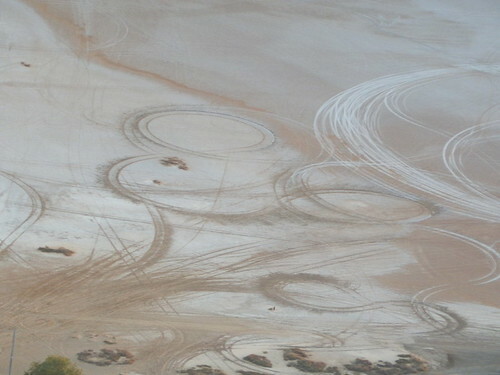 Fly to, or drive from Kununurra, Darwin or Broome. What to do: Wyndham is at the end of the Great Northern Highway. 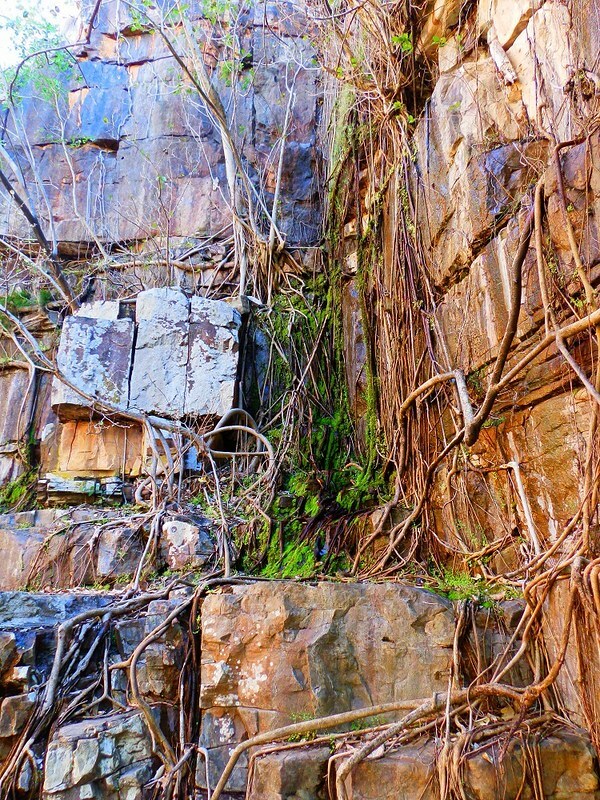 Use it as a base to explore this corner of the Kimberley with day trips to Marlgu Billabong, the Grotto, the King River Road; or as a starting point to visit Kalumburu; or connect with the Gibb River Road. Discover the history, wildlife and landscape with local attractions, or go fishing in the Gulf. NEXT Post: A Wedding at the Winehouse, Langhorne Creek! Looks amazing. 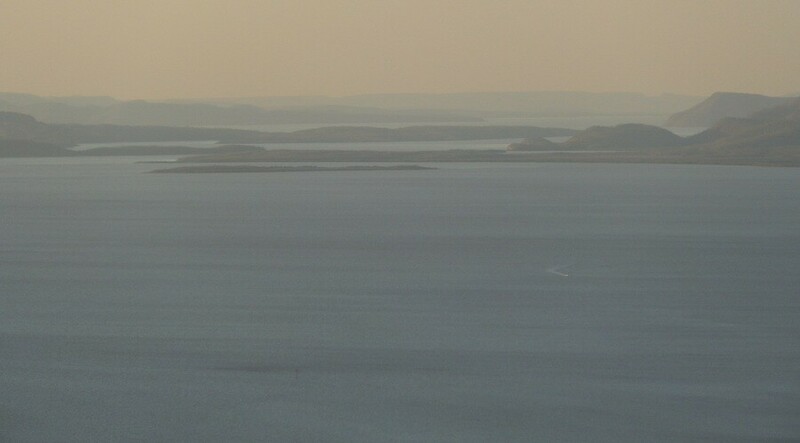 We never made it into Wyndham; went straight to Kununurra and Lake Argyle and then headed home. Another place to add to the list for next time! We turned what we thought would be a 1 or 2 night stay in Wyndham into 4 nights – and only moved on because we had a lot more of WA to see before heading home!! It’s on my list again for next time – hope you make it too, Aaron! It’s ALL good, Tasha! The Boab trees come in all sorts of wonderful shapes and sizes – but so do the crocodiles! The fake one is defintely the way to go if you want to get up close 😀 I’d love to see Wyndham surrounded by water as it would be during a king tide – but it’s still pretty impressive however you see it!! Have a great day!! I remember the loo view from your last visit:) I really really really want to go to Australia and New Zealand! I think I am going to have to move the two up my list. The bird sanctuary looks so amazing. And the Cranes!!!!! 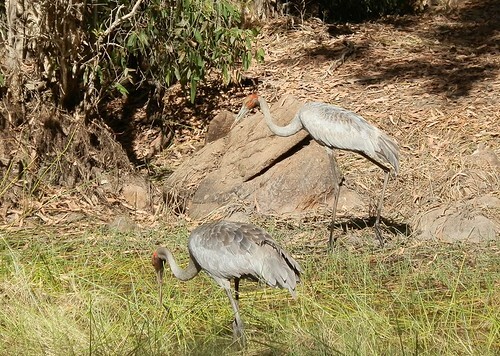 You have one of the 15 crane species there!!!!!! I drool I drool I drool. Money is what holds me back. So what do I do? I watched a special on parrots in Australia the other night and it made me want more. You write about the most interesting places and I want to know more about it all. Oz is a HUGE place! So many birds to see, so little time, Chris. Why not be the first on your block to enjoy an OZ birding blitz? Imagine the photographs. Imagine the stories. Imagine the awesome vistas. Imagine the birding envy 😀 Watch this space – there’s a LOT more to see! Of Wyndham I nearly only saw the hospital where a doc helped me for free with my hurting back. Instead of taking money (after all they did some tests to make sure it´s not the kidneys) he gave me tips where to go and how to sit going on gravel roads… You Aussies 😉 That wouldn´t have happened here! HAha, I’ve got photos of the Derby tree as well, Iris!! Glad you got assistance at the hospital – maybe you could share that tip on how to sit on gravel roads?? Although maybe our cars are designed to be more comfortable these days 😀 You’ll have to venture out of Perth for your next trip and revisit all those places you saw 16 years ago!! we only had a day trip to Wyndham, so we didn’t get to see all it has to offer but the 5 rivers lookout was impressive and I loved Parry’s lagoon & Marglu billabong, even with its resident big croc! Hey Red I love that RED abstract at the Grotto. 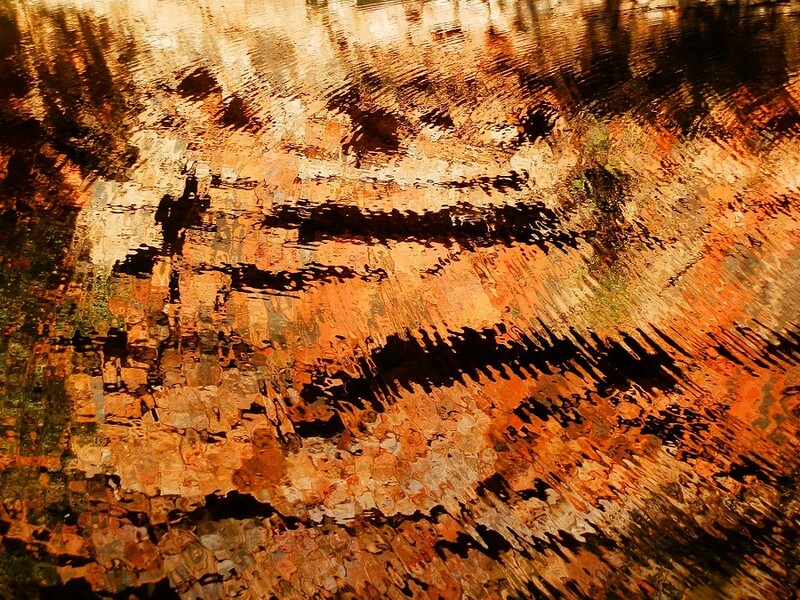 I am sorry we didn’t see the petroglyphs – next time! Happy travels Red, and thanks for stopping by my blog today. Sorry I have been missing from your last few posts. Catch up time. Yes a longer stay would have been good for us. WE were only there a few hours.We did do the five rivers lookout and the nature reserve. Thanks for showing me the extra attractions. Love the grotto shot. That’s the benefit of virtual travel, Diane – you get to see whether the other attractions you missed are worth going back for! Of course the 5 Rivers lookout is sensational at any time of day – it’s one of my favourites! And I’m now a devotee of the reflection abstract shot – it hides my other photographic deficiencies! Wonderful post and images. You would make an excellent tour guide and birder. I love the Happy Croc, view of the river from the peak, the Grotto abstract and the cute donkey. I think my tour guide ‘reputation’ would collapse as soon as anyone asked me a ‘dumb’ question, Eileen – but thanx for the vote of confidence! I’d have a happier week ahead if I was up north – it’s getting pretty cold (by OZ standards) down here in the south! Different there, great to see all, the rivers meet..
Are you going there this trip, M? I really liked Wyndham – it’s not everyone’s cup of tea, but it worked for me! It’s all stunning but I think Fuzzy the donkey is my favourite bit. The landscape is just stunning. Especially the SALT!!! Hey, I liked the salt pans too, Kozue! The stark white and blue sky made a great combination to photograph! AND look at!!! I loved Wyndham too! We stayed at the Parry Creek Farm Caravan Park on the Parry Creek who had their own resident ‘salty’. 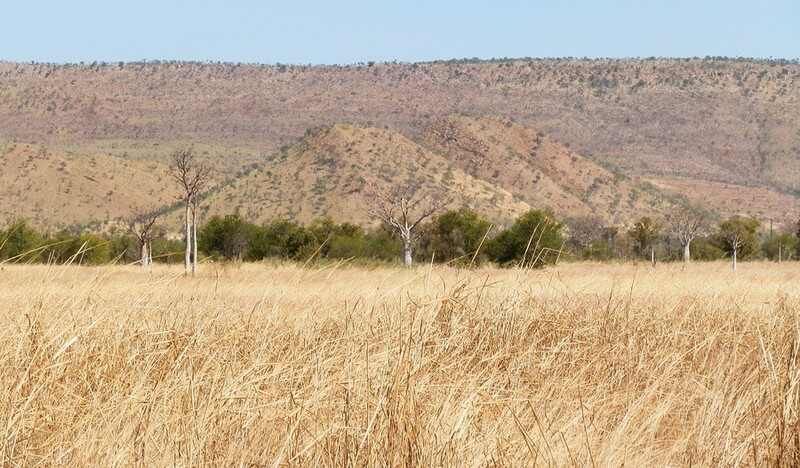 It wasn’t far from Marlgu Billabong and not far from the Lower Ord River (where we fished). We took a day trip out along the Gibb River Road to El Questro and Emma Gorge which had spectacular Kimberley scenery. Those ranges are stunning with the colours ever-changing throughout the day. The Kimberley was one of the highlights of our trip around Aus. Oh! YOU got lucky, Kathy! 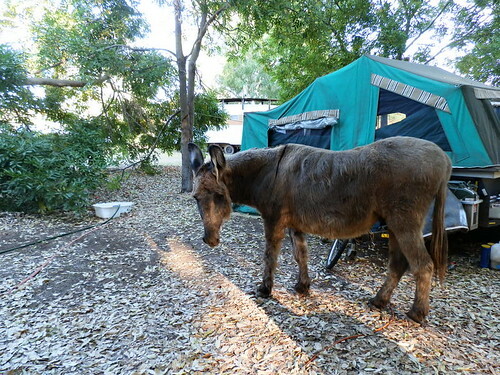 Our caravan park only had a resident donkey!!! We checked out that park when we went to Marlgu – it looked very nice. Our car wasn’t up to the Gibb River Road, but next time I’d LOVE to see the eastern end of it! The amazing colours are what I remember most fondly – everywhere we went in the Kimberley the landscape colours were show-stoppers! 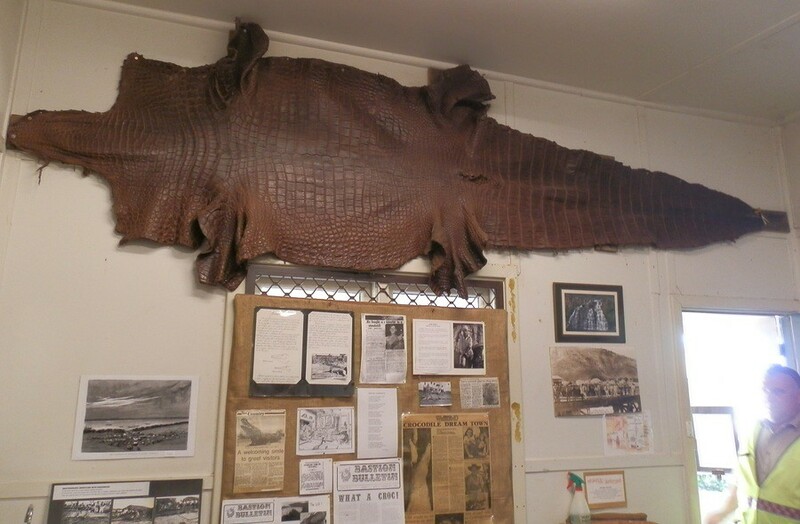 Wow, I had no idea there was a giant croc there! A giant croc for a giant waterway, Liz! As I have mentioned before, I would find the tidal extremes fascinating. I guess the rivers would be looking very lazy at this time of the year, unlike during the wet season. Because it’s a tidal system, the Gulf stays full, Andrew – so there’s always the impression of LOTS of water from the lookout. As for the rivers, although we were there during the dry season, the King river still had water in it, as did the Ord! One day I’ll go there for King Tide – it’d be amazing to see those mudflats all covered over! This is wild Australia at its best, Christopher! Hope it inspires you to see it for yourself one day! !